Herefish helps IT staffing firms differentiate in a competitive environment and stay top-of-mind with sought-after candidates. We help firms engage with candidates and current contractors to boost placement and re-deployment rates. Herefish integrates with leading ATS providers like Bullhorn, eRecruit and Job Science. Plus our Zapier integration means you can connect Herefish with hundreds of other apps. IT staffing is competitive. To rise above the competition, keep your brand in front of high-value candidates through consistent and relevant nurturing and engagement campaigns. Keep contractors you've worked hard to place by launching a simple redeployment campaign to place them on the next assignment with your firm. IT staffing has outpaced the the US economy for the past 15 years and is expected to grow 4% in 2018. This means continued demand and competition for IT professionals like developers, project managers and more. With Herefish, your firm can stay top-of-mind with candidates to gain a competitive advantage and build a stronger talent pool. Automating activities like consistent email, relevant job openings and the redeployment process help solidify your brand and drive revenue through additional placements. Also, thanks to tight integrations with a firm's ATS, Herefish is able to monitor and automatically kick-off campaigns based on key events like email clicks or key times like start or end dates. This puts recruitment marketing on auto-pilot while recruiters can do what they do best - build relationships and place candidates. 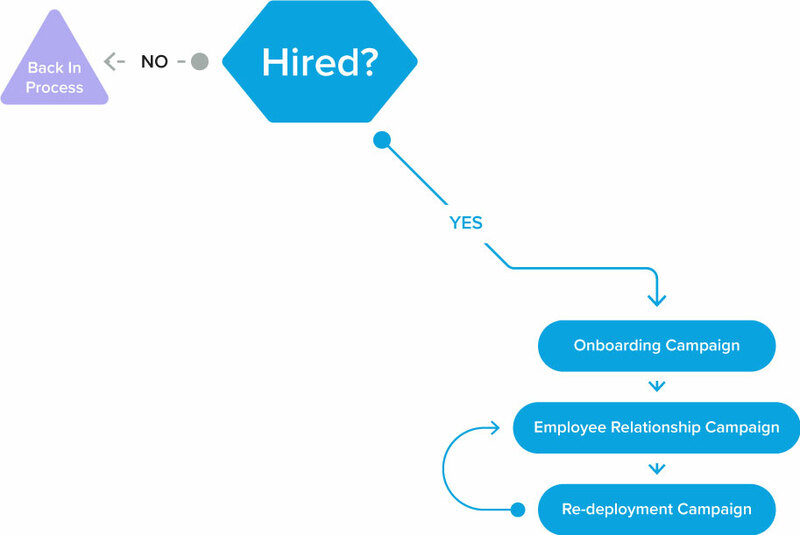 Redeploying candidates is an efficient way to keep already placed candidates deployed within a firm. Herefish can automate the communication process throughout the entire contract process. Send reminder emails or texts before a contract start date and remind the assigned recruiter prior to a contract's end.